The October Revolution and the Tactics of the Russian Communists. Foreign Languages Press, Beijing, 1976, p. 117. Three circumstances of an external nature determined the comparative ease with which the proletarian revolution in Russia succeeded in breaking the chains of imperialism and thus overthrowing the rule of the bourgeoisie. Firstly, the circumstance that the October Revolution began in a period of desperate struggle between the two principal imperialist groups, the Anglo-French and the Austro-German; at a time when, engaged in mortal struggle between themselves, these two groups had neither the time nor the means to devote serious attention to the struggle against the October Revolution. This circumstance was of tremendous importance for the October Revolution; for it enabled it to take advantage of the fierce conflicts within the imperialist world to strengthen and organize its own forces. Secondly, the circumstance that the October Revolution began during the imperialist war, at a time when the laboring masses, exhausted by the war and thirsting for peace, were by the very logic of facts led up to the proletarian revolution as the only way out of the war. This circumstance was of extreme importance for the October Revolution; for it put into its hands the mighty weapon of peace, made it easier for it to link the Soviet revolution with the ending of the hated war, and thus created mass sympathy for it both in the West, among the workers, and in the East, among the oppressed peoples. Thirdly, the existence of a powerful working-class movement in Europe and the fact that a revolutionary crisis was maturing in the West and in the East, brought on by the protracted imperialist war. This circumstance was of inestimable importance for the revolution in Russia; for it ensured the revolution faithful allies outside Russia in its struggle against world imperialism. But in addition to circumstances of an external nature, there were also a number of favorable internal conditions which facilitated the victory of the October Revolution. Firstly, the October Revolution enjoyed the most active support of the overwhelming majority of the working class in Russia. Secondly, it enjoyed the undoubted support of the poor peasants and of the majority of the soldiers, who were thirsting for peace and land. 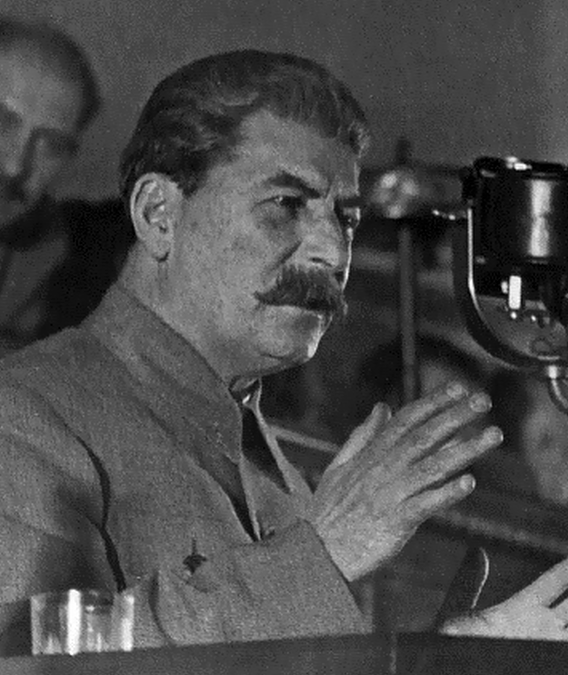 Thirdly, it had at its head, as its guiding force, such a tried and tested party as the Bolshevik Party, strong not only by reason of its experience and discipline acquired through the years, but also by reason of its vast connections with the laboring masses. Fourthly, the October Revolution was confronted by enemies who were comparatively easy to overcome, such as the rather weak Russian bourgeoisie, a landlord class which was utterly demoralized by peasant "revolts," and the compromising parties (the Mensheviks and Socialist-Revolutionaries), which had become completely bankrupt during the war. Fifthly, it had at its disposal the vast expanses of the young state, in which it was able to maneuver freely, retreat when circumstances so required, enjoy a respite, gather strength, etc. Sixthly, in its struggle against counter-revolution the October Revolution could count upon sufficient resources of food, fuel and raw materials within the country. The combination of these external and internal circumstances created that peculiar situation which determined the comparative ease with which the October Revolution won its victory. This does not mean, of course, that there were no unfavorable features in the external and internal setting of the October Revolution. Think of such an unfavorable feature as, for example, the isolation, to some extent, of the October Revolution, the absence near it, or bordering on it, of a Soviet country on which it could rely for support. Undoubtedly, the future revolution, for example, in Germany, will be in a more favorable situation in this respect, for it has in close proximity a powerful Soviet country like our Soviet Union. I need not mention so unfavorable a feature of the October Revolution as the absence of a proletarian majority within the country. But these unfavorable features only emphasize the tremendous importance of the peculiar internal and external conditions of the October Revolution of which I have spoken above. These peculiar conditions must not be lost sight of for a single moment. They must be borne in mind particularly in analyzing the events of the autumn of 1923 in Germany. Above all, they should be borne in mind by Trotsky, who draws an unfounded analogy between the October Revolution and the revolution in Germany and lashes violently at the German Communist Party for its actual and alleged mistakes. These words of Lenin's should not be forgotten. There are two specific features of the October Revolution which must be understood first of all if we are to comprehend the inner meaning and the historical significance of that revolution. Firstly, the fact that the dictatorship of the proletariat was born in our country as a power which came into existence on the basis of an alliance between the proletariat and the laboring masses of the peasantry, the latter being led by the proletariat. 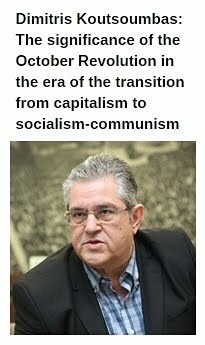 Secondly, the fact that the dictatorship of the proletariat became established in our country as a result of the victory of socialism in one country — a country in which capitalism was little developed — while capitalism was preserved in other countries where capitalism was more highly developed. This does not mean, of course, that the October Revolution has no other specific features. But it is precisely these two specific features that are important for us at the present moment, not only because they distinctly express the essence of the October Revolution, but also because they brilliantly reveal the opportunist nature of the theory of "permanent revolution." Let us briefly examine these features. The question of the laboring masses of the petty bourgeoisie, both urban and rural, the question of winning these masses to the side of the proletariat, is highly important for the proletarian revolution. Whom will the laboring people of town and country support in the struggle for power, the bourgeoisie or the proletariat; whose reserve will they become, the reserve of the bourgeoisie or the reserve of the proletariat — on this depend the fate of the revolution and the stability of the dictatorship of the proletariat. The revolutions in France in 1848 and 1871 came to grief chiefly because the peasant reserves proved to be on the side of the bourgeoisie. The October Revolution was victorious because it was able to deprive the bourgeoisie of its peasant reserves, because it was able to win these reserves to the side of the proletariat, and because in this revolution the proletariat proved to be the only guiding force for the vast masses of the laboring people of town and country. He who has not understood this will never understand either the character of the October Revolution, or the nature of the dictatorship of the proletariat, or the specific characteristics of the internal policy of our proletarian power. The dictatorship of the proletariat is not simply a governmental top stratum "skillfully" "selected" by the careful hand of an "experienced strategist," and "judiciously relying" on the support of one section or another of the population. The dictatorship of the proletariat is the class alliance between the proletariat and the laboring masses of the peasantry for the purpose of overthrowing capital, for achieving the final victory of socialism, on the condition that the guiding force of this alliance is the proletariat. Thus, it is not a question of "slightly" underestimating or "slightly" overestimating the revolutionary potentialities of the peasant movement, as certain diplomatic advocates of "permanent revolution" are now fond of expressing it. It is a question of the nature of the new proletarian state which arose as a result of the October Revolution. It is a question of the character of the proletarian power, of the foundations of the dictatorship of the proletariat itself. Such is the theory of the dictatorship of the proletariat given by Lenin. One of the specific features of the October Revolution is the fact that this revolution represents a classic application of Lenin's theory of the dictatorship of the proletariat. Some comrades believe that this theory is a purely "Russian" theory, applicable only to Russian conditions. That is wrong. It is absolutely wrong. In speaking of the laboring masses of the non-proletarian classes which are led by the proletariat, Lenin has in mind not only the Russian peasants, but also the laboring elements of the border regions of the Soviet Union, which until recently were colonies of Russia. Lenin constantly reiterated that without an alliance with these masses of other nationalities the proletariat of Russia could not achieve victory. In his articles on the national question and in his speeches at the congresses of the Comintern, Lenin repeatedly said that the victory of the world revolution was impossible without a revolutionary alliance, a revolutionary bloc, between the proletariat of the advanced countries and the oppressed peoples of the enslaved colonies. But what are colonies if not the oppressed laboring masses, and, primarily, the laboring masses of the peasantry? Who does not know that the question of the liberation of the colonies is essentially a question of the liberation of the laboring masses of the non-proletarian classes from the oppression and exploitation of finance capital? Such are the characteristics of the first specific feature of the October Revolution. How do matters stand with regard to Trotsky's theory of "permanent revolution" in the light of this specific feature of the October Revolution? We shall not dwell at length on Trotsky's position in 1905, when he "simply" forgot all about the peasantry as a revolutionary force and advanced the slogan of "No tsar, but a workers' government," that is, the slogan of revolution without the peasantry. Even Radek, that diplomatic defender of "permanent revolution," is now obliged to admit that "permanent revolution" in 1905 meant a "leap into the air" away from reality. Now, apparently everyone admits that it is not worth while bothering with this "leap into the air" any more. That is what Trotsky says about his "permanent revolution." One need only compare this quotation with the above quotations from Lenin's works on the dictatorship of the proletariat to perceive the great chasm that separates Lenin's theory of the dictatorship of the proletariat from Trotsky's theory of "permanent revolution." Lenin speaks of the alliance between the proletariat and the laboring strata of the peasantry as the basis of the dictatorship of the proletariat. Trotsky sees a "hostile collision " between "the proletarian vanguard" and "the broad masses of the peasantry." Lenin speaks of the leadership of the toiling and exploited masses by the proletariat. Trotsky sees "contradictions in the position of a workers' government in a backward country with an overwhelmingly peasant population." According to Lenin, the revolution draws its strength primarily from among the workers and peasants of Russia itself. According to Trotsky, the necessary strength can be found only "in the arena of the world proletarian revolution." But what if the world revolution is fated to arrive with some delay? Is there any ray of hope for our revolution? Trotsky offers no ray of hope; for "the contradictions in the position of a workers' government . . . could be solved only . 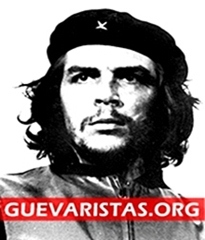 . . in the arena of the world proletarian revolution." According to this plan, there is but one prospect left for our revolution: to vegetate in its own contradictions and rot away while waiting for the world revolution. What is the dictatorship of the proletariat according to Lenin? The dictatorship of the proletariat is a power which rests on an alliance between the proletariat and the laboring masses of the peasantry for "the complete overthrow of capital" and for "the final establishment and consolidation of socialism." What is the dictatorship of the proletariat according to Trotsky? The dictatorship of the proletariat is a power which comes "into hostile collision" with "the broad masses of the peasantry" and seeks the solution of its "contradictions" only "in the arena of the world proletarian revolution." What difference is there between this "theory of permanent revolution" and the well-known theory of Menshevism which repudiates the concept of dictatorship of the proletariat? Essentially, there is no difference. There can be no doubt at all. 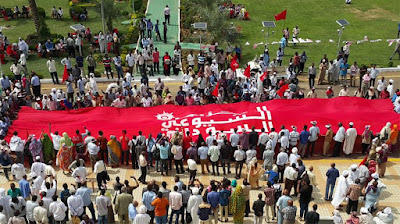 "Permanent revolution" is not a mere underestimation of the revolutionary potentialities of the peasant movement. "Permanent revolution" is an underestimation of the peasant movement which leads to the repudiation of Lenin's theory of the dictatorship of the proletariat. Trotsky's "permanent revolution" is a variety of Menshevism. This is how matters stand with regard to the first specific feature of the October Revolution. What are the characteristics of the second specific feature of the October Revolution? In his study of imperialism, especially in the period of the war, Lenin arrived at the law of the uneven, spasmodic, economic and political development of the capitalist countries. According to this law, the development of enterprises, trusts, branches of industry and individual countries proceeds not evenly — not according to an established sequence, not in such a way that one trust, one branch of industry or one country is always in advance of the others, while other trusts or countries keep consistently one behind the other — but spasmodically, with interruptions in the development of some countries and leaps ahead in the development of others. Under these circumstances the "quite legitimate" striving of the countries that have slowed down to hold their old positions, and the equally "legitimate" striving of the countries that have leapt ahead to seize new positions, lead to a situation in which armed clashes among the imperialist countries become an inescapable necessity. Such was the case, for example, with Germany, which half a century ago was a backward country in comparison with France and Britain. The same must be said of Japan as compared with Russia. It is well known, however, that by the beginning of the twentieth century Germany and Japan had leapt so far ahead that Germany had succeeded in overtaking France and had begun to press Britain hard on the world market, while Japan was pressing Russia. As is well known, it was from these contradictions that the recent imperialist war arose. 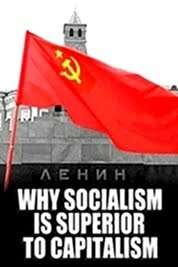 5) In view of this, the victory of socialism in one country, even if that country is less developed in the capitalist sense, while capitalism remains in other countries, even if those countries are more highly developed in the capitalist sense — is quite possible and probable. Such, briefly, are the foundations of Lenin's theory of the proletarian revolution. What is the second specific feature of the October Revolution? The second specific feature of the October Revolution lies in the fact that this revolution represents a model of the practical application of Lenin's theory of the proletarian revolution. He who has not understood this specific feature of the October Revolution will never understand either the international nature of this revolution, or its colossal international might, or the specific features of its foreign policy. The opportunists of all countries assert that the proletarian revolution can begin — if it is to begin anywhere at all, according to their theory — only in industrially developed countries, and that the more highly developed these countries are industrially the more chances there are for the victory of socialism. Moreover, according to them, the possibility of the victory of socialism in one country, and one in which capitalism is little developed at that, is excluded as something absolutely improbable. 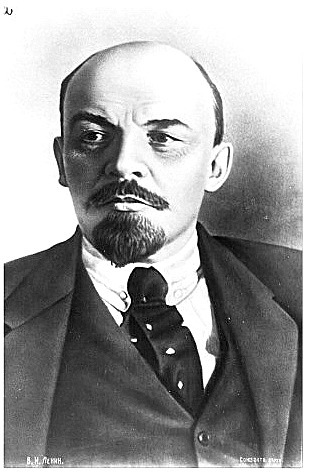 As far back as the period of the war, Lenin, taking as his basis the law of the uneven development of the imperialist states, opposed to the opportunists his theory of the proletarian revolution about the victory of socialism in one country, even if that country is one in which capitalism is less developed. It is well known that the October Revolution fully confirmed the correctness of Lenin's theory of the proletarian revolution. How do matters stand with Trotsky's "permanent revolution" in the light of Lenin's theory of the victory of the proletarian revolution in one country? Let us take Trotsky's pamphlet Our Revolution (1906). "Without direct state support from the European proletariat, the working class of Russia will not be able to maintain itself in power and to transform its temporary rule into a lasting socialist dictatorship. This we cannot doubt for an instant." What does this quotation mean? It means that the victory of socialism in one country, in this case Russia, is impossible "without direct state support from the European proletariat," i.e., before the European proletariat has conquered power. What is there in common between this "theory" and Lenin's thesis on the possibility of the victory of socialism "in one capitalist country taken separately"? Clearly, there is nothing in common. But let us assume that Trotsky's pamphlet, which was published in 1906, at a time when it was difficult to determine the character of our revolution, contains inadvertent errors and does not fully correspond to Trotsky's views at a later period. Let us examine another pamphlet written by Trotsky, his Peace Programme, which appeared before the October Revolution of 1917 and has now (1924) been republished in his book The Year 1917. In this pamphlet Trotsky criticizes Lenin's theory of the proletarian revolution about the victory of socialism in one country and opposes to it the slogan of a United States of Europe. He asserts that the victory of socialism in one country is impossible, that the victory of socialism is possible only as the victory of several of the principal countries of Europe (Britain, Russia, Germany), which combine into a United States of Europe; otherwise it is not possible at all. He says quite plainly that "a victorious revolution in Russia or in Britain is inconceivable without a revolution in Germany, and vice versa." 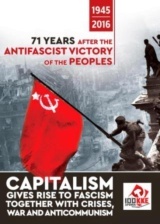 "The only more or less concrete historical argument," says Trotsky, "advanced against the slogan of a United States of Europe was formulated in the Swiss Sotsial-Demokrat (at that time the central organ of the Bolsheviks — J. St. ) in the following sentence: 'Uneven economic and political development is an absolute law of capitalism.' From this the Sotsial-Demokrat draws the conclusion that the victory of socialism is possible in one country, and that therefore there is no reason to make the dictatorship of the proletariat in each separate country contingent upon the establishment of a United States of Europe. That capitalist development in different countries is uneven is an absolutely incontrovertible argument. But this unevenness is itself extremely uneven. The capitalist level of Britain, Austria, Germany or France is not identical. But in comparison with Africa and Asia all these countries represent capitalist 'Europe,' which has grown ripe for the social revolution. That no country in its struggle must 'wait' for others, is an elementary thought which it is useful and necessary to reiterate in order that the idea of concurrent international action may not be replaced by the idea of temporizing international inaction. Without waiting for the others, we begin and continue the struggle nationally, in the full confidence that our initiative will give an impetus to the struggle in other countries; but if this should not occur, it would be hopeless to think — as historical experience and theoretical considerations testify — that, for example, a revolutionary Russia could hold out in the face of a conservative Europe, or that a socialist Germany could exist in isolation in a capitalist world." As you see, we have before us the same theory of the simultaneous victory of socialism in the principal countries of Europe which, as a rule, excludes Lenin's theory of revolution about the victory of socialism in one country. It goes without saying that for the complete victory of socialism, for a complete guarantee against the restoration of the old order, the united efforts of the proletarians of several countries are necessary. It goes without saying that, without the support given to our revolution by the proletariat of Europe, the proletariat of Russia could not have held out against the general onslaught, just as without the support given by the revolution in Russia to the revolutionary movement in the West the latter could not have developed at the pace at which it has begun to develop since the establishment of the proletarian dictatorship in Russia. It goes without saying that we need support. But what does support of our revolution by the West-European proletariat imply? Is not the sympathy of the European workers for our revolution, their readiness to thwart the imperialists' plans of intervention — is not all this support, real assistance? Unquestionably it is. Without such support, without such assistance, not only from the European workers but also from the colonial and dependent countries, the proletarian dictatorship in Russia would have been hard pressed. Up to now, has this sympathy and this assistance, coupled with the might of our Red Army and the readiness of the workers and peasants of Russia to defend their socialist fatherland to the last — has all this been sufficient to beat off the attacks of the imperialists and to win us the necessary conditions for the serious work of construction? Yes, it has been sufficient. Is this sympathy growing stronger, or is it waning? Unquestionably, it is growing stronger. Hence, have we favorable conditions, not only for pushing on with the organizing of socialist economy, but also, in our turn, for giving support to the West-European workers and to the oppressed peoples of the East? Yes, we have. This is eloquently proved by the seven years history of the proletarian dictatorship in Russia. Can it be denied that a mighty wave of labor enthusiasm has already risen in our country? No, it cannot be denied. After all this, what does Trotsky's assertion that a revolutionary Russia could not hold out in the face of a conservative Europe signify? It can signify only this: firstly, that Trotsky does not appreciate the inherent strength of our revolution; secondly, that Trotsky does not understand the inestimable importance of the moral support which is given to our revolution by the workers of the West and the peasants of the East; thirdly, that Trotsky does not perceive the internal infirmity which is consuming imperialism today. Carried away by his criticism of Lenin's theory of the proletarian revolution, Trotsky unwittingly dealt himself a smashing blow in his pamphlet Peace Programme which appeared in 1917 and was republished in 1924. "The assertion reiterated several times in the Peace Programme that a proletarian revolution cannot culminate victoriously within national bounds may perhaps seem to some readers to have been refuted by the nearly five years' experience of our Soviet Republic. But such a conclusion would be unwarranted, The fact that the workers' state has held out against the whole world in one country, and a backward country at that, testifies to the colossal might of the proletariat, which in other, more advanced, more civilized countries will be truly capable of performing miracles. But while we have held our ground as a state politically and militarily, we have not arrived, or even begun to arrive, at the creation of a socialist society. . . . As long as the bourgeoisie remains in power in the other European countries we shall be compelled, in our struggle against economic isolation, to strive for agreements with the capitalist world; at the same time it may be said with certainty that these agreements may at best help us to mitigate some of our economic ills, to take one or another step forward, but real progress of a socialist economy in Russia will become possible only after the victory [My italics. — J. St.] of the proletariat in the major European countries." Thus speaks Trotsky, plainly sinning against reality and stubbornly trying to save his "permanent revolution" from final shipwreck. It appears, then, that, twist and turn as you like, we not only have "not arrived," but we have "not even begun to arrive" at the creation of a socialist society. 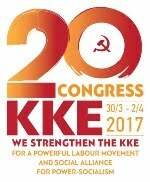 It appears that some people have been hoping for "agreements with the capitalist world," but it also appears that nothing will come of these agreements; for, twist and turn as you like, "real progress of a socialist economy" will not be possible until the proletariat has been victorious in the "major European countries." Well, then, since there is still no victory in the West, the only "choice" that remains for the revolution in Russia is: either to rot away or to degenerate into a bourgeois state. It is no accident that Trotsky has been talking for two years now about the "degeneration" of our Party. It is no accident that last year Trotsky prophesied the "doom" of our country. How can this strange "theory" be reconciled with Lenin's theory of the "victory of socialism in one country"? How can this strange "prospect" be reconciled with Lenin's view that the New Economic Policy will enable us "to build the foundations of socialist economy"? It is plain that these two views are incompatible and cannot in any way be reconciled. Trotsky's "permanent revolution" is the repudiation of Lenin's theory of the proletarian revolution; and conversely, Lenin's theory of the proletarian revolution is the repudiation of the theory of "permanent revolution." Lack of faith in the strength and capacities of our revolution, lack of faith in the strength and capacity of the Russian proletariat — that is what lies at the root of the theory of "permanent revolution." Hitherto only one aspect of the theory of "permanent revolution" has usually been noted — lack of faith in the revolutionary potentialities of the peasant movement. Now, in fairness, this must be supplemented by another aspect — lack of faith in the strength and capacity of the proletariat in Russia. What difference is there between Trotsky's theory and the ordinary Menshevik theory that the victory of socialism in one country, and in a backward country at that, is impossible without the preliminary victory of the proletarian revolution "in the principal countries of Western Europe"? There can be no doubt at all. Trotsky's theory of "permanent revolution" is a variety of Menshevism. "The war created a chasm between the peasantry, which was striving to win land and peace, and the petty-bourgeois parties; the war placed the peasantry under the leadership of the working class and of its vanguard the Bolshevik Party. This rendered possible, not the dictatorship of the working class and peasantry, but the dictatorship of the working class relying on the peasantry. What Rosa Luxemburg and Trotsky advanced against Lenin in 1905 (i.e., "permanent revolution" — J. St.) proved, as a matter of fact, to be the second stage of the historic development." Here every statement is a distortion. It is not true that the war "rendered possible, not the dictatorship of the working class and peasantry, but the dictatorship of the working class relying on the peasantry." Actually, the February Revolution of 1917 was the materialization of the dictatorship of the proletariat and peasantry, interwoven in a peculiar way with the dictatorship of the bourgeoisie. It is not true that the theory of "permanent revolution," which Radek bashfully refrains from mentioning, was advanced in 1905 by Rosa Luxemburg and Trotsky. Actually, this theory was advanced by Parvus and Trotsky. Now, 10 months later, Radek corrects himself and deems it necessary to castigate Parvus for the theory of "permanent revolution." But in all fairness Radek should also castigate Parvus' partner, Trotsky. It is not true that the theory of "permanent revolution," which was brushed aside by the Revolution of 1905, proved to be correct in the "second stage of the historic development," that is, during the October Revolution. The whole course of the October Revolution, its whole development, demonstrated and proved the utter bankruptcy of the theory of "permanent revolution" and its absolute incompatibility with the foundations of Leninism. Honeyed speeches and rotten diplomacy cannot hide the yawning chasm which lies between the theory of "permanent revolution" and Leninism. In order to understand the tactics pursued by the Bolsheviks during the period of preparation for October we must get a clear idea of at least some of the particularly important features of those tactics. This is all the more necessary since in numerous pamphlets on the tactics of the Bolsheviks precisely these features are frequently overlooked. First specific feature. If one were to listen to Trotsky, one would think that there were only two periods in the history of the preparation for October: the period of reconnaissance and the period of uprising, and that all else comes from the evil one. What was the April demonstration of 1917? "The April demonstration, which went more to the 'Left' than it should have, was a reconnoitering sortie for the purpose of probing the disposition of the masses and the relations between them and the majority in the Soviets." And what was the July demonstration of 1917? In Trotsky's opinion, "this, too, was in fact another, more extensive, reconnaissance at a new and higher phase of the movement." Needless to say, the June demonstration of 1917, which was organized at the demand of our Party, should, according to Trotsky's idea, all the more be termed a "reconnaissance." This would seem to imply that as early as March 1917 the Bolsheviks had ready a political army of workers and peasants, and that if they did not bring this army into action for an uprising in April, or in June, or in July, but engaged merely in "reconnaissance," it was because, and only because, "the information obtained from the reconnaissance" at the time was unfavorable. Needless to say, this oversimplified notion of the political tactics of our Party is nothing but a confusion of ordinary military tactics with the revolutionary tactics of the Bolsheviks. Actually, all these demonstrations were primarily the result of the spontaneous pressure of the masses, the result of the fact that the indignation of the masses against the war had boiled over and sought an outlet in the streets. Actually, the task of the Party at that time was to shape and to guide the spontaneously arising demonstrations of the masses along the line of the revolutionary slogans of the Bolsheviks. Actually, the Bolsheviks had no political army ready in March 1917, nor could they have had one. The Bolsheviks built up such an army (and had finally built it up by October 1917) only in the course of the struggle and conflicts of the classes between April and October 1917, through the April demonstration, the June and July demonstrations, the elections to the district and city Dumas, the struggle against the Kornilov revolt, and the winning over of the Soviets. A political army is not like a military army. A military command begins a war with an army ready to hand, whereas the Party has to create its army in the course of the struggle itself, in the course of class conflicts, as the masses themselves become convinced through their own experience of the correctness of the Party's slogans and policy. Of course, every such demonstration at the same time threw a certain amount of light on the hidden inter-relations of the forces involved, provided certain reconnaissance information, but this reconnaissance was not the motive for the demonstration, but its natural result. It is plain that "reconnaissance" alone does not get one very far. 5) this preparation for October, in its turn, brought it about that as a result of the October uprising power was concentrated in the hands of one party, the Bolshevik Party. Thus, the undivided leadership of one party, the Communist Party, as the principal factor in the preparation for October — such is the characteristic feature of the October Revolution, such is the first specific feature of the tactics of the Bolsheviks in the period of preparation for October. It scarcely needs proof that without this feature of Bolshevik tactics the victory of the dictatorship of the proletariat in the conditions of imperialism would have been impossible. In this the October Revolution differs favorably from the revolution of 1871 in France, where the leadership was divided between two parties, neither of which could be called a Communist Party. Second specific feature. The preparation for October thus proceeded under the leadership of one party, the Bolshevik Party. But how did the Party carry out this leadership, along what line did the latter proceed? This leadership proceeded along the line of isolating the compromising parties, as the most dangerous groupings in the period of the outbreak of the revolution, the line of isolating the Socialist-Revolutionaries and Mensheviks. What is the fundamental strategic rule of Leninism? 3) the main weapons in the period of preparation for the revolution must therefore be directed towards isolating these parties, towards winning the broad masses of the working people away from them. 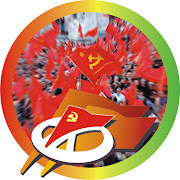 In the period of the struggle against tsarism, in the period of preparation for the bourgeois-democratic revolution (1905-16), the most dangerous social support of tsarism was the liberal-monarchist party, the Cadet Party. Why? Because it was the compromising party, the party of compromise between tsarism and the majority of the people, i.e., the peasantry as a whole. Naturally, the Party at that time directed its main blows at the Cadets, for unless the Cadets were isolated there could be no hope of a rupture between the peasantry and tsarism, and unless this rupture was ensured there could be no hope of the victory of the revolution. Many people at that time did not understand this specific feature of Bolshevik strategy and accused the Bolsheviks of excessive "Cadetophobia"; they asserted that with the Bolsheviks the struggle against the Cadets "overshadowed" the struggle against the principal enemy — tsarism. 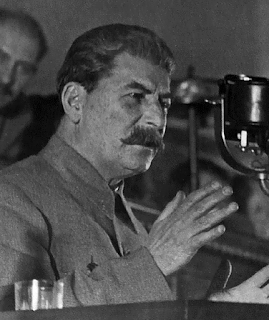 But these accusations, for which there was no justification, revealed an utter failure to understand the Bolshevik strategy, which called for the isolation of the compromising party in order to facilitate, to hasten the victory over the principal enemy. It scarcely needs proof that without this strategy the hegemony of the proletariat in the bourgeois-democratic revolution would have been impossible. In the period of preparation for October the center of gravity of the conflicting forces shifted to another plane. The tsar was gone. The Cadet Party had been transformed from a compromising force into a governing force, into the ruling force of imperialism. Now the fight was no longer between tsarism and the people, but between the bourgeoisie and the proletariat. In this period the petty-bourgeois democratic parties, the parties of the Socialist-Revolutionaries and Mensheviks, were the most dangerous social support of imperialism. Why? Because these parties were then the compromising parties, the parties of compromise between imperialism and the laboring masses. Naturally, the Bolsheviks at that time directed their main blows at these parties; for unless these parties were isolated there could be no hope of a rupture between the laboring masses and imperialism, and unless this rupture was ensured there could be no hope of the victory of the Soviet revolution. Many people at that time did not understand this specific feature of the Bolshevik tactics and accused the Bolsheviks of displaying "excessive hatred" towards the Socialist-Revolutionaries and Mensheviks, and of "forgetting" the principal goal. But the entire period of preparation for October eloquently testifies to the fact that only by pursuing these tactics could the Bolsheviks ensure the victory of the October Revolution. The characteristic feature of this period was the further revolutionization of the laboring masses of the peasantry, their disillusionment with the Socialist-Revolutionaries and Mensheviks, their defection from these parties, their turn towards rallying directly around the proletariat as the only consistently revolutionary force, capable of leading the country to peace. The history of this period is the history of the struggle between the Socialist-Revolutionaries and Mensheviks, on the one hand, and the Bolsheviks, on the other, for the laboring masses of the peasantry, for winning over these masses. The outcome of this struggle was decided by the coalition period, the Kerensky period, the refusal of the Socialist-Revolutionaries and Mensheviks to confiscate the landlords' land, the fight of the Socialist-Revolutionaries and Mensheviks to continue the war, the June offensive at the front, the introduction of capital punishment for soldiers, the Kornilov revolt. And they decided the issue of this struggle entirely in favor of the Bolshevik strategy; for had not the Socialist-Revolutionaries and Mensheviks been isolated it would have been impossible to overthrow the government of the imperialists, and had this government not been overthrown it would have been impossible to break away from the war. The policy of isolating the Socialist-Revolutionaries and Mensheviks proved to be the only correct policy. Thus, isolation of the Menshevik and Socialist-Revolutionary parties as the main line in directing the preparations for October — such was the second specific feature of the tactics of the Bolsheviks. It scarcely needs proof that without this feature of the tactics of the Bolsheviks, the alliance of the working class and the laboring masses of the peasantry would have been left hanging in the air. It is characteristic that in his The Lessons of October Trotsky says nothing, or next to nothing, about this specific feature of the Bolshevik tactics. Third specific feature. Thus, the Party, in directing the preparations for October, pursued the line of isolating the Socialist-Revolutionary and Menshevik parties, of winning the broad masses of the workers and peasants away from them. But how, concretely, was this isolation effected by the Party — in what form, under what slogan? It was effected in the form of the revolutionary mass movement for the power of the Soviets, under the slogan "All power to the Soviets! ", by means of the struggle to convert the Soviets from organs for mobilizing the masses into organs of the uprising, into organs of power, into the apparatus of a new proletarian state power. Why was it precisely the Soviets that the Bolsheviks seized upon as the principal organizational lever that could facilitate the task of isolating the Mensheviks and Socialist-Revolutionaries, that was capable of advancing the cause of the proletarian revolution, and that was destined to lead the millions of laboring masses to the victory of the dictatorship of the proletariat? "The Soviets," said Lenin as early as September 1917, "are a new state apparatus, which, in the first place, provides an armed force of workers and peasants; and this force is not divorced from the people, as was the old standing army, but is most closely bound up with the people. From the military standpoint, this force is incomparably more powerful than previous forces; from the revolutionary standpoint, it cannot be replaced by anything else. Secondly, this apparatus provides a bond with the masses, with the majority of the people, so intimate, so indissoluble, so readily controllable and renewable, that there was nothing even remotely like it in the previous state apparatus. Thirdly, this apparatus, by virtue of the fact that its personnel is elected and subject to recall at the will of the people without any bureaucratic formalities, is far more democratic than any previous apparatus. Fourthly, it provides a close contact with the most diverse professions, thus facilitating the adoption of the most varied and most profound reforms without bureaucracy. Fifthly, it provides a form of organization of the vanguard, i.e., of the most politically conscious, most energetic and most progressive section of the oppressed classes, the workers and peasants, and thus constitutes an apparatus by means of which the vanguard of the oppressed classes can elevate, train, educate, and lead the entire vast mass of these classes, which has hitherto stood quite remote from political life, from history. Sixthly, it makes it possible to combine the advantages of parliamentarism with the advantages of immediate and direct democracy, i.e., to unite in the persons of the elected representatives of the people both legislative and executive functions. Compared with bourgeois parliamentarism, this represents an advance in the development of democracy which is of world-wide historic significance. . . .
"Had not the creative spirit of the revolutionary classes of the people given rise to the Soviets, the proletarian revolution in Russia would be a hopeless affair; for the proletariat undoubtedly could not retain power with the old state apparatus, and it is impossible to create a new apparatus immediately." That is why the Bolsheviks seized upon the Soviets as the principal organizational link that could facilitate the task of organizing the October Revolution and the creation of a new, powerful apparatus of the proletarian state power. From the point of view of its internal development, the slogan "All power to the Soviets!" passed through two stages: the first (up to the July defeat of the Bolsheviks, during the period of dual power), and the second (after the defeat of the Kornilov revolt). During the first stage this slogan meant breaking the bloc of the Mensheviks and Socialist-Revolutionaries with the Cadets, the formation of a Soviet Government consisting of Mensheviks and Socialist-Revolutionaries (for at that time the Soviets were Socialist-Revolutionary and Menshevik), the right of free agitation for the opposition (i.e., for the Bolsheviks), and the free struggle of parties within the Soviets, in the expectation that by means of such a struggle the Bolsheviks would succeed in capturing the Soviets and changing the composition of the Soviet Government in the course of a peaceful development of the revolution. This plan, of course, did not signify the dictatorship of the proletariat. But it undoubtedly facilitated the preparation of the conditions required for ensuring the dictatorship; for, by putting the Mensheviks and Socialist-Revolutionaries in power and compelling them to carry out in practice their anti-revolutionary platform, it hastened the exposure of the true nature of these parties, hastened their isolation, their divorce from the masses. The July defeat of the Bolsheviks, however, interrupted this development; for it gave preponderance to the generals' and Cadets' counter-revolution and threw the Socialist-Revolutionaries and Mensheviks into the arms of that counter-revolution. This compelled the Party temporarily to withdraw the slogan "All power to the Soviets! ", only to put it forward again in the conditions of a fresh revolutionary upsurge. The defeat of the Kornilov revolt ushered in the second stage. The slogan "All power to the Soviets!" became again the immediate slogan. But now this slogan had a different meaning from that in the first stage. Its content had radically changed. Now this slogan meant a complete rupture with imperialism and the passing of power to the Bolsheviks, for the majority of the Soviets were already Bolshevik. Now this slogan meant the revolution's direct approach towards the dictatorship of the proletariat by means of an uprising. More than that, this slogan now meant the organization of the dictatorship of the proletariat and giving it a state form. The inestimable significance of the tactics of transforming the Soviets into organs of state power lay in the fact that they caused millions of working people to break away from imperialism, exposed the Menshevik and Socialist-Revolutionary parties as the tools of imperialism, and brought the masses by a direct route, as it were, to the dictatorship of the proletariat. Thus, the policy of transforming the Soviets into organs of state power, as the most important condition for isolating the compromising parties and for the victory of the dictatorship of the proletariat — such is the third specific feature of the tactics of the Bolsheviks in the period of preparation for October. Fourth specific feature. The picture would not be complete if we did not deal with the question of how and why the Bolsheviks were able to transform their Party slogans into slogans for the vast masses, into slogans which pushed the revolution forward; how and why they succeeded in convincing not only the vanguard, and not only the majority of the working class, but also the majority of the people, of the correctness of their policy. The point is that for the victory of the revolution, if it is really a people's revolution embracing the masses in their millions, correct Party slogans alone are not enough. For the victory of the revolution one more necessary condition is required, namely, that the masses themselves become convinced through their own experience of the correctness of these slogans. Only then do the slogans of the Party become the slogans of the masses themselves. Only then does the revolution really become a people's revolution. One of the specific features of the tactics of the Bolsheviks in the period of preparation for October was that they correctly determined the paths and turns which would naturally lead the masses to the Party's slogans — to the very threshold of the revolution, so to speak — thus helping them to feel, to test, to realize by their own experience the correctness of these slogans. In other words, one of the specific features of the tactics of the Bolsheviks is that they do not confuse leadership of the Party with leadership of the masses; that they clearly see the difference between the first sort of leadership and the second; that they, therefore, represent the science, not only of leadership of the Party, but of leadership of the vast masses of the working people. A graphic example of the manifestation of this feature of Bolshevik tactics was provided by the experience of convening and dispersing the Constituent Assembly. It is well known that the Bolsheviks advanced the slogan of a Republic of Soviets as early as April 1917. It is well known that the Constituent Assembly was a bourgeois parliament, fundamentally opposed to the principles of a Republic of Soviets. How could it happen that the Bolsheviks, who were advancing towards a Republic of Soviets, at the same time demanded that the Provisional Government should immediately convene the Constituent Assembly? How could it happen that the Bolsheviks not only took part in the elections, but themselves convened the Constituent Assembly? How could it happen that a month before the uprising, in the transition from the old to the new, the Bolsheviks considered a temporary combination of a Republic of Soviets with the Constituent Assembly possible? 6) such a combination, if brought about under the condition that all power was transferred to the Soviets, could only signify the subordination of the Constituent Assembly to the Soviets, its conversion into an appendage of the Soviets, its painless extinction. It scarcely needs proof that had the Bolsheviks not adopted such a policy the dispersion of the Constituent Assembly would not have taken place so smoothly, and the subsequent actions of the Socialist-Revolutionaries and Mensheviks under the slogan "All power to the Constituent Assembly!" would not have failed so signally. Why then did they not boycott the Constituent Assembly? It is characteristic that Trotsky does not understand this feature of Bolshevik tactics and snorts at the "theory" of combining the Constituent Assembly with the Soviets, qualifying it as Hilferdingism. He does not understand that if the Bolsheviks had not adopted this special policy towards the Constituent Assembly they would not have succeeded in winning over to their side the vast masses of the people; and if they had not won over these masses they could not have transformed the October uprising into a profound people's revolution. It is interesting to note that Trotsky even snorts at the words "people," "revolutionary democracy," etc., occurring in articles by Bolsheviks, and considers them improper for a Marxist to use. "Particular attention should be paid to Marx's extremely profound remark that the destruction of the bureaucratic-military state machine is 'the preliminary condition for every real people's revolution.' This concept of a 'people's' revolution seems strange coming from Marx, and the Russian Plekhanovites and Mensheviks, those followers of Struve who wish to be regarded as Marxists, might possibly declare such an expression to be a 'slip of the pen' on Marx's part. They have reduced Marxism to such a state of wretchedly liberal distortion that nothing exists for them beyond the antithesis between bourgeois revolution and proletarian revolution — and even this antithesis they interpret in an extremely lifeless way. . . . Thus, ability to convince the masses of the correctness of the Party slogans on the basis of their own experience, by bringing them to the revolutionary positions, as the most important condition for the winning over of the millions of working people to the side of the Party — such is the fourth specific feature of the tactics of the Bolsheviks in the period of preparation for October. I think that what I have said is quite sufficient to get a clear idea of the characteristic features of these tactics. IV. The October Revolution as the Beginning of and the Precondition for the World Revolution. But, as is well known, Lenin's theory of revolution is not limited only to this side of the question. It is also the theory of the development of the world revolution [See The Foundations of Leninism -J. V. Stalin]. The victory of socialism in one country is not a self-sufficient task. The revolution which has been victorious in one country must regard itself not as a self-sufficient entity, but as an aid, as a means for hastening the victory of the proletariat in all countries. For the victory of the revolution in one country, in the present case Russia, is not only the product of the uneven development and progressive decay of imperialism; it is at the same time the beginning of and the precondition for the world revolution. Undoubtedly, the paths of development of the world revolution are not as plain as it may have seemed previously, before the victory of the revolution in one country, before the appearance of developed imperialism, which is "the eve of the socialist revolution." For a new factor has arisen — the law of the uneven development of the capitalist countries, which operates under the conditions of developed imperialism, and which implies the inevitability of armed collisions, the general weakening of the world front of capital, and the possibility of the victory of socialism in individual countries. 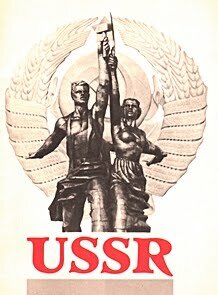 For a new factor has arisen — the vast Soviet country, lying between the West and the East, between the center of the financial exploitation of the world and the arena of colonial oppression, a country which by its very existence is revolutionizing the whole world. All these are factors (not to mention other less important ones) which cannot be left out of account in studying the paths of development of the world revolution. Formerly, it was commonly thought that the revolution would develop through the even "maturing" of the elements of socialism, primarily in the more developed, the "advanced," countries. Now this view must be considerably modified. "At the same time, precisely as a result of the last imperialist war, a number of countries — the East, India, China, etc. — have been completely dislodged from their groove. Their development has definitely shifted to the general European capitalist lines. The general European ferment has begun to affect them, and it is now clear to the whole world that they have been drawn into a process of development that cannot but lead to a crisis in the whole of world capitalism." If we add to this the fact that not only the defeated countries and colonies are being exploited by the victorious countries, but that some of the victorious countries are falling into the orbit of financial exploitation at the hands of the most powerful of the victorious countries, America and Britain; that the contradictions among all these countries are an extremely important factor in the disintegration of world imperialism; that, in addition to these contradictions, very profound contradictions exist and are developing within each of these countries; that all these contradictions are becoming more profound and more acute because of the existence, alongside these countries, of the great Republic of Soviets — if all this is taken into consideration, then the picture of the special character of the international situation will become more or less complete. Most probably, the world revolution will develop by the breaking away of a number of new countries from the system of the imperialist states as a result of revolution, while the proletarians of these countries will be supported by the proletariat of the imperialist states. We see that the first country to break away, the first victorious country, is already being supported by the workers and the laboring masses of other countries. Without this support it could not hold out. Undoubtedly, this support will increase and grow. But there can also be no doubt that the very development of the world revolution, the very process of the breaking away from imperialism of a number of new countries will be the more rapid and thorough, the more thoroughly socialism becomes consolidated in the first victorious country, the faster this country is transformed into a base for the further unfolding of the world revolution, into a lever for the further disintegration of imperialism. While it is true that the final victory of socialism in the first country to emancipate itself is impossible without the combined efforts of the proletarians of several countries, it is equally true that the unfolding of the world revolution will be the more rapid and thorough, the more effective the assistance rendered by the first socialist country to the workers and laboring masses of all other countries. In what should this assistance be expressed? The characteristic feature of the assistance given by the victorious country is not only that it hastens the victory of the proletarians of other countries, but also that, by facilitating this victory, it ensures the final victory of socialism in the first victorious country. Most probably, in the course of development of the world revolution, side by side with the centers of imperialism in individual capitalist countries and with the system of these countries throughout the world, centers of socialism will be created in individual Soviet countries and a system of these centers throughout the world, and the struggle between these two systems will fill the history of the unfolding of the world revolution. The world significance of the October Revolution lies not only in the fact that it constitutes a great beginning made by one country in causing a breach in the system of imperialism and that it is the first center of socialism in the ocean of imperialist countries, but also in that it constitutes the first stage of the world revolution and a mighty base for its further development. Therefore, not only those are wrong who forget the international character of the October Revolution and declare the victory of socialism in one country to be a purely national, and only a national, phenomenon, but also those who, although they bear in mind the international character of the October Revolution, are inclined to regard this revolution as something passive, merely destined to accept help from without. Actually, not only does the October Revolution need support from the revolution in other countries, but the revolution in those countries needs the support of the October Revolution, in order to accelerate and advance the cause of overthrowing world imperialism.